The Campfire The 5 Best Rumours About Club 4X4 Dispelled! 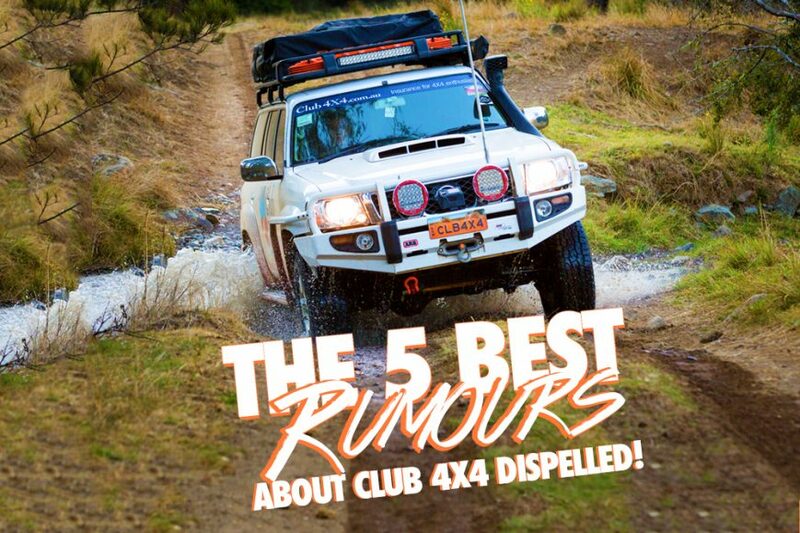 The 5 Best Rumours About Club 4X4 Dispelled! They say that “Imitation is the sincerest form of flattery” and in the world of 4×4 insurance, we’ve come in, set the scene and watched plenty of the so called “specialists” imitate. But we aren’t precious – the way we see it, the more people out there trying to do the right thing by the 4WD community the better. What does grind our gears a little though is when the competitive landscape lends itself to the spreading slanderous and incorrect information, telling porky pies and generally finding ways to sling mud (and not the affectionate type you can deal to your mate going first up a muddy trail!). We liken it to watching a boat sink. The inexplicable feeling watching a defiant captain screaming abuse until that bubbly, boiling moment when the bow completely disappears under the briny water. The positive is, we’ve got their attention. This means our product is doing the right things and is truly suited to the needs of the 4X4 Enthusiast. In fact, at the rate we are growing it was only a matter of time until that boat we mentioned earlier got scuttled anyway!! So if you haven’t heard the fake news, here’s a few quality tid-bits of information getting around about Club 4X4 that are NOT true!! 1) Hollard manage their claims – and just look at the Google and Financial Services Ombudsman reports! We definitely do not hide our relationship with Hollard, in fact we are proud to have them on-board as our partners. After all, if all underwriters were the same we wouldn’t have such a unique product! As our underwriter, Hollard provide us with the backing to deliver our product, the way we want to deliver it. In fact, other than providing us with said backing, they do not get involved at all! You see Club 4X4 is an Underwriting Agency – as such we have complete and full control over all operational facets of our business. This includes everything from systems and pricing, to product development; right through to claims administration, repairs and salvage. If you want to know what our service is like – search Club 4X4 review, not Hollard. In fact, in this article you will see where our customers rank us in terms of a “Net Promoter Score”. The next highest score we observed was from an insurer who specialised in pensioners and their score was 8% – compared to our 88%! Yes – 88% of our responding customers said they would gladly recommend us to their friends and family. This one is usually a late night Facebook post that gets screenshotted and sent on to us by industry friends and customers, usually accompanied by the comment “have a go at this guy”. This is not to make light of issues, as there will always be cases where things go wrong and we need to learn – and we have and continue to do so. We have processed and managed thousands of claims and as we noted in the above point, perform much higher than the competition both from a sales and claims perspective. Ultimately, you’re paying to be protected and taken care of when you buy a policy – and that is what we will always be here to do. We’ve written and distributed multiple blogs about the importance of disclosure and the effect it has on your policy. Ultimately insurance is a contract, so make sure you understand and answer the questions that preclude the offer of the contract completely and factually! Any insurer who would not have covered you in the first place had they known all of the information, will NOT pay your claim! It’s that simple! 3) We cover your accessories and modifications too! We do! Every day we have customers joining the club because we provide a true sum insured. We get it because we are fourby enthusiasts and we spend money on our setups too. The thought of investing half of what the car is worth is never an issue, but the risk of losing it all on a track or to some dropkick who decided they wanted it more than us is downright scary! With a membership to Club 4X4, your financial coverage will be the most comprehensive available on the market – full stop. If your current sum insured is no more than what the truck is worth on the open market, you’re under-insured – don’t believe the lies, give us a call. They really don’t think much of the 4X4 community do they? The number is flash, but it’s so hard to find more information about this coverage. Every policy you purchase with Club 4X4 has $2,000 worth of Australia Wide Personal Effect Cover. Whilst there are some restrictions like legal tender and iPads, what you get with this product is coverage for your portable valuables. Things like photographic equipment, sunglasses, tents, portable fridge’s, camp chairs – you name it. Whether they’re with the car or not! Have a really close look and ensure you’re getting what you think you are – no one can compete with our coverage – full stop. 5) We offer off-road recovery too! This one always makes us smile. You see, any insurer has a responsibility to recover a vehicle from the scene of an accident, if the accident occurred somewhere where they will cover you to be. So first things first, check if you’re allowed to go cross country with your current insurers – because at Club 4X4 we don’t believe in words like “gazetted” and “non-gazetted” – they’re insurance terms created by cardigan wearers. Our Off-Road Recovery Cover is designed to reimburse you the costs of a remote recovery if you’ve had a breakdown or gotten bogged remote. So make sure you ask exactly what it is that is being offered. No one can compete with our coverage here – full stop. 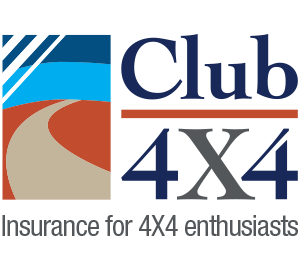 At the end of the day, Club 4X4 was created as a specialist insurance product for the 4X4 enthusiast. We have no interested in any other forms of insurance business, be it commercial, liability or the plethora of other coverages available through brokers. Nor are we interested in variations of motor insurance available for different types of motoring enthusiasm like classic cars or hot rods – cool, but not really relevant to us as off-roaders. Our Vision is to protect the lifestyle of the 4X4 enthusiast and we understand that our needs are not the same as mum and dad in the Camry, nor are they the same as old mate with the immaculate old FJ Holden. As always we thank our tens of thousands of customers and encourage you to spread the good word – and hopefully now, know the truth about the rumours! Point 2 about not paying out claims. For transparency you could have revealed your % of claims paid and bench-marked it against industry standards. Just a thought. Good Idea Tony – will look into it! We area happy to be transparent, but getting a “benchmark” might be a challenge. In the meantime – do you use this criteria as a point to determine who you will insure with?? and if so have you found sources for this information about your current insurer? Good article and its very reassuring as a Club4x4 customer, however when I was doing my research into you guys I couldn’t find any reviews at all on you, not even bad ones. I just wish that I could get a quote from you “subject to current photo”, as I can with other insurers. I accept that you want to be sure of the vehicle condition before you insure it hence my comment “subject to–“. Knowing you want a photo with identification I can take said photo and just wait till I need insurance then submit photo and get your cover despite the condition of my vehicle deteriorating between the photo being taken and the application being made. My direction to the team is that unless there is a strong reason to do so, to provide the quote without the photos, but endorse the policy such that if photos are not received withing 48hours the policy will automatically be cancelled. Without knowing the exact particulars of your policy quote or vehicle its hard for me to comment further. More than happy to look further, if you want to send on an email to contactus@club4x4.com.au and attention it to Kalen Ziflian. I’d love to see you guys do a knock-down-drag-em-out comparison between your policy and other “competing” policies (in particular against Shannons Comprehensive agreed value, for my own purposes). This would be helpful both for myself and for all those looking to compare their options. So I’m having trouble finding points of difference that compel me to switch. Id rather not comment on competitors, it’s always just been an ethical issue for me. I have also worked with and hold policies with Shannons for other toys i own and i really like what they do. I would never take my business on those items elsewhere. It would need a closer look from a consumer perspective. I moved over to you guys because you do just that cover it all in a 4×4 and now I have 2 4x4s covered by you guys because you happen to charge not much more then the other insurance company but the cover was almost twice so I was able to cover all the gear on the truck plus you offer just so much more. When we get our camper early next year I’ll be having you guys cover that as well as I’ve had a price from you and it’s better and it’s cheaper so how can I go wrong. I have never had to make a claim on my 4×4 or caravan and hope I never have to. The insurance cover is comprehensive and competitive for both vehicles. I know that if the occasion arises where I have to make a claim, the process will be simple, prompt and fair. Hank you for being part of the club. We certainly hope you don’t have to go through a claim, but if you do, you can be assured that our only reason for existing is to ensure you, as a 4X4 enthusiasts, gets back on the tracks as quickly and efficiently as possible. Your “The 5 Best Rumours About Club 4X4 Dispelled!” is I hope well received and at least confirming of “telling porky pies”. Not that I follow social media anyway, but at least expelling and/or putting out those spot fires on a front is no easy task. But I do agree and it is important to note that with this ever growing social media spectrum, you would be a fool to listen, or at least, absorb social media as gospel within a medium of poo slinging monkeys. Though us (I’m sure I speak of many), 4X4 enthusiast do their research, you would be indeed asinine and off rail if you didn’t. For example; who in their right mind would traverse a desert or explore formidable tracks without first researching the crap out of it (no, I’m not referring back to the poo monkey) and at least ensure the vehicle is up to spec/task . In fact, I hope I never need to resort on calling you guys for assistance. But I know peace of mind indeed calms the mind during sticky situations. So tactfully written 🙂 Thanks for the kind words. Yes, social media can be a double edged sword at times and can carry a message much longer and further than before. We certainly don’t take it as gospel, but we do take it seriously where a customer has had issues and we need to adjust our processes. We also take our right of reply very seriously, especially when the poo is being slung as you put it. Hopefully the article helped to clarify some of the rumours being propagated out there! Club 4×4 is by far the best off road insurance on the market so if any one is looking for the best this is it. I have been recommending it to a lot of fellow 4x4ers which are very Impressed by the policy and taking it on board. Thank you so much as always for your custom. Hopefully the new rig is almost ready! Sounds great, I am interested in a quote on my Earthcruiser 2010 model on a Canter body. Can you provide a quote for when it is due next July. What information do you require. Happy to take a look at your Earthcruiser – because of its value please give us a call for a quote, as we will need some pictures to refer it to our underwriter. I will also be up front and state that in some specifications Earthcruisers are actually too expensive for us to insure – like i said not all, but in some specs they fall outside our guidelines. I plan to do the round trip of oz in retirement next year and will certainly take out insurance with Club4x4. Dennis. will be happy to have you on board Dennis! We only ask for 5 years driving history on certain claims, not all. Anything older then 5 years would be totally irrelevant given our underwriting criteria specifies only 5 years. We are having problems with our claim. Jumping thru hoops for nominated drivers who were not driving at time of accident. Driving history for all drivers and copy of licence. 7 weeks and counting since lodging our claim. We cannot find any details under your name or email address unfortunately. Can you send us through the claims number, policy number and vehicle registration number so we can identify you ASAP? Previously had rental property insurance with Hollard over many years – never had an issue withnthem and so trust them now to underwrite Club 4×4 insurance. thanks for being part of the club Gordon! We have a claim in process at the moment and are having a fair bit of difficulty getting things moving. We have asked to have the claim escalated and a supervisor to contact us to talk things through, but it isn’t happening quickly. Any tips? I am having my team look into your claim right now and give me an upodate on progress. still waiting for you to call and discuss my recent experience with your company. Please accept my apologies, i don’t recall an arrangement to talk through a claim for you.